We are ranked amongst the trusted firms engaged in manufacturing a wide range of Chapati Rolling Pin. Marble being a natural material provide unstickness and smooth roll the pizza and other breads. 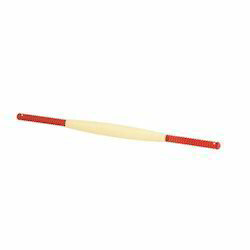 Made of pure aluminiumChakla 9 inches diameter, Belan 12 inches length, Finished with powder coating and lequear. Specially designed Colord Box. Barrel Length 18", 15" & 13"
We have gained a remarkable position in the market that is involved in offering Aluminum Chakla Belan. The Light Weight Rolling Pin is supplied as a Standard Part along with Machine to Collect the Sheeted Dough. 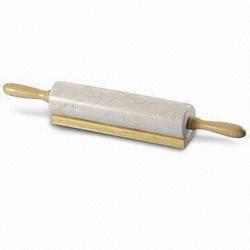 We offer these Dough Collecting Rolling Pin at most competitive prices. A ‘Rolling pin’ / Chakla for your kitchen. This cooking accessory is crafted out of quality sheesham wood. A beautifully handcrafted rolling pin helps to make the perfect bread with an explicit finish.